Stock photo of the Langevin Block and information sign in the city of Ottawa in Ontario, Canada. 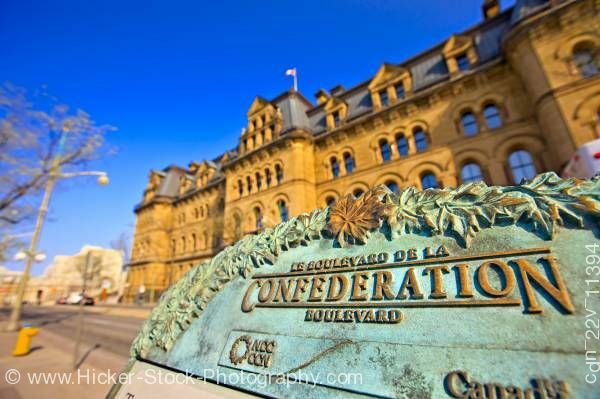 This stock photo includes The Langevin Block, an office building which faces Parliament Hill and is the working headquarters of the executive branch of the Canadian government. In this lighting the building has a beautiful golden appearance against the bright deep blue sky.